The Micron Bead Cluster Titanium Jewel Top allows you to change up your look for a variety of piercings with dermal anchors, labret posts, and more. 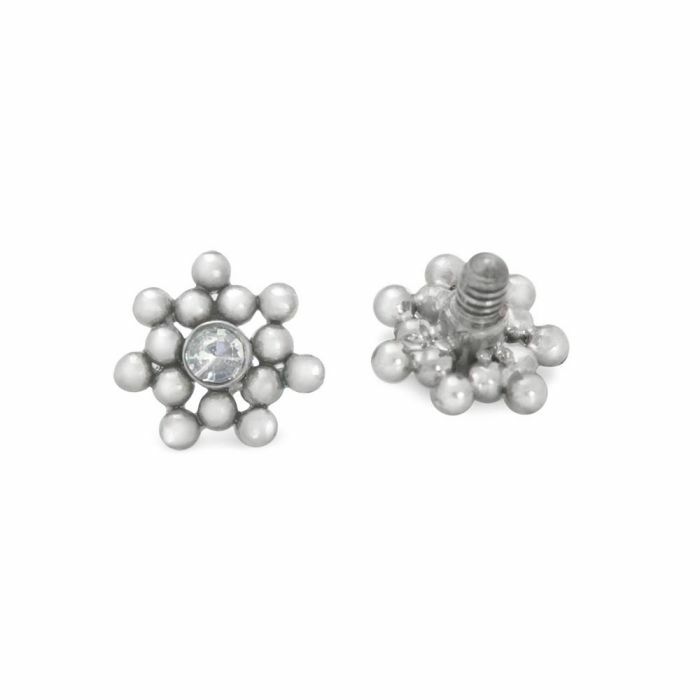 This 5mm top features a cluster of 1mm micron beads around a centered 1mm jewel in your choice of color. It has internal 1.2mm threading with a 2mm long post, which is compatible with our standard 14g or 12g internally threaded body jewelry that has a matching 1.2mm internal thread pattern. This top is manufactured from high quality titanium and for a small fee, it can be anodized to one of 26 colors in our Hanover, MD Painful Pleasures facilities. The Micron Bead Cluster Titanium Jewel Top is priced per one top only.